When the Audi A1 hatchback was introduced in 2010, it marked the first time since 1978 that a car with the four-ring emblem on the grille shared its platform with the Volkswagen Polo. 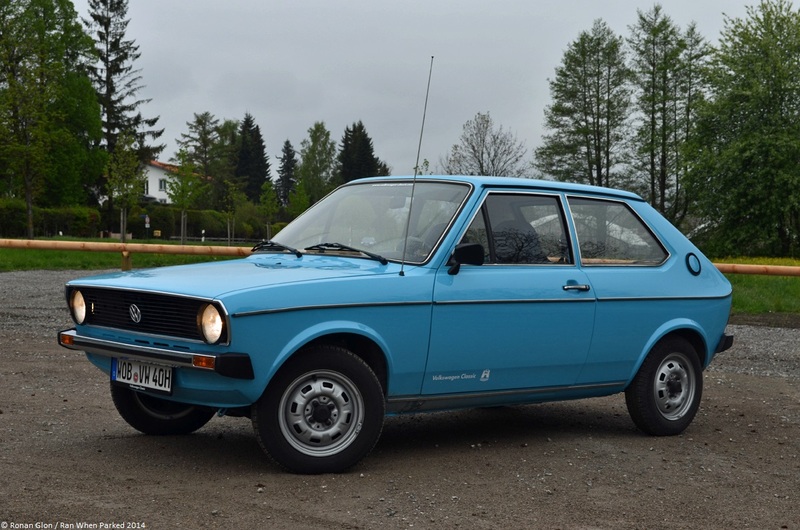 While the A1 is based on the fifth-gen Polo, it was Volkswagen that rummaged through the Audi parts bin in the 1970s. NSU had started to design a successor to the rear-engined Prinz in the early 1970s. Like the K70, the Projekt K 50 used a modern drivetrain consisting of a water-cooled, front-mounted four-cylinder engine that spun the front wheels. The four-banger was mounted transversally in the engine bay. With NSU all but out of the picture, Volkswagen kept the K70 sedan for itself and gave the Projekt K 50 to its Audi division where it was given the name 50. The 50 was introduced in mid-1974 to fight French and Italian city cars like the Renault 5, the Peugeot 104 and the Fiat 127, but it was noticeably more upmarket thanks to a better-finished interior, more standard features and a more powerful engine. The upmarket positioning also meant that the 50 was more expensive than its main rivals, but Volkswagen had planned on selling a stripped-down version of the city car designed to slot underneath the Golf from the moment it gave the project to Audi. Volkswagen’s version of the 50 was christened Polo and introduced in mid-1975. Viewed from the outside, the first-gen Polo (known as the type 86 internally) was nearly identical to the 50 save for a model-specific radiator grille. The interior reflected the price cut, however, and the Polo initially did not have a parcel shelf, it had flat door panels and rubber floor mats in lieu of carpet. The gas gauge was replaced by a simple indicator light that warned the driver when the tank was getting low, and the heater only had a single speed. 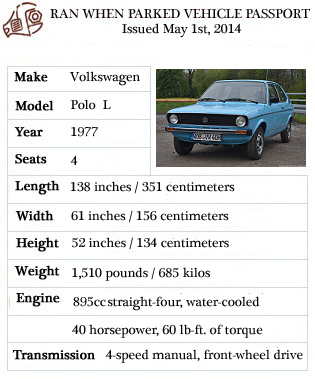 Power came from a water-cooled 895cc four-cylinder engine rated at 40 horsepower and 60 lb-ft. of torque, making the Polo less powerful than the Audi 50 which was offered with either 50 or 60 horsepower. Linked to a four-speed manual transmission, the engine propelled the Polo to a top speed of 82 mph (132 km/h). Front discs and rear drums took care of stopping the car but a brake booster was not fitted as standard. Volkswagen and Audi were both surprised to notice that the Polo was more popular than the 50. In a bid to further boost sales, Volkswagen introduced a better equipped model called Polo L that was designed to bridge the gap between the entry-level Polo N and its Audi-badged sibling. In 1977, the base-model Polo N cost 20,990 francs and the Polo L stickered for 22,410 francs. The Audi 50 LS started at 24,110 francs, the Fiat 127 cost 16,710 francs, the Renault 5 retailed for 18,200 francs and the Citroën LN carried a base price of 18,300 francs. The Polo’s closest rival in terms of price was the 20,300-franc Peugeot 104. The Audi 50 was phased out the following year because the company was moving upmarket and a tiny, economy-focused hatchback did not fit the premium image that Volkswagen’s top brass was trying to create. This left the Polo by itself to represent the Volkswagen group on the crowded city car segment in Europe. Volkswagen gave the Polo a minor facelift in 1979 that brought bigger plastic bumpers and a new radiator grille. The hatchback was phased out in 1981 and replaced by the all-new second-gen Polo that introduced a shooting brake-like model to the lineup. Below is a list of observations and driving notes we made while taking a first-gen Polo for a short spin around the Tegernsee Lake about an hour south of Munich, Germany. The seats are supportive and comfortable, and we like that Volkswagen equipped the Polo with headrests. A lot of its rivals didn’t offer headrests, though as we saw above they were also noticeably cheaper. Design-wise, the interior really hasn’t aged terribly. Granted, it’s Spartan so there really isn’t much there to age in the first place, but the straight-forward, typically Germanic-looking dashboard has stood the test of time and it still feels pretty well screwed together. The trunk is roomier than we’d expect in such a small car. We don’t have the exact figures on hand but at first glance it looks like there’s more trunk space in a 1977 Polo than in a 2007 Renault Modus. The engine is peppy, 40 horsepower isn’t much but the engine doesn’t have much mass to move around. The Polo has no issues keeping up with modern traffic around town, although we didn’t get the chance to take it on the freeway. The four-speed manual transmission shifts with razor-sharp precision. Every gear clicks into place with no play and no rubbery feel. The brakes are mediocre at best. A brake booster would have done wonders for this car. The suspension is not sporty-stiff but not overly smooth, either. It provides a good balance between the two that proves comfortable in daily driving but that can provide lively handling when needed. Brings back a few memories…. A friend of mine had a VW Polo (mk1) as his first car. It was BRIGHT orange. It was also the epicentre of many adventures. Happy memories…. What a superb looking example of a MK1 Polo – quality car ! Owned and maintained by Volkswagen. If memory serves it needed a tune-up, it ran too rich. VW displayed a wonderful pigeon blue Polo mk1 in Techno-Classica in Essen this year.